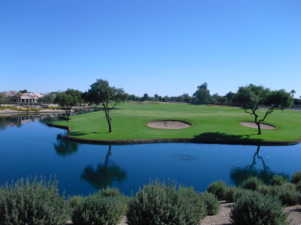 Arizona retirement communities offer a wide variety of choices for the retiree who is looking to enjoy the great weather that Arizona affords. We have lived in such a community for since 2004...after searching the United States by RV for 6 years, we found Arizona to give us the most bang for our retirement buck. After living for 10 years on a sailboat, in foreign countries and full time RVing we decided to find a home for a while...before wanderlust strikes again. We looked at our RV lifestyle as a great way to explore the country before we bought another home. 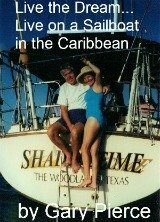 We had sold our Texas home in 1997 before we purchased in Arizona...February 2004. 7 years without a home, one with straight walls and no steering wheel in the living room, we felt was long enough. Now many years later, we are more sure of our decision than ever...Arizona is home for us. We are used to people's reaction to where do you live? We live in Surprise...a Phoenix suburb 30 miles west of downtown. And yes we have heard all the remarks about living in "Surprise". You live where? You heard me right... I live in Surprise. The weather...the relatively low cost of housing ( below 100 dollars per square foot on 2004)...the beauty of the surroundings. Arizona retirement communities are not all desert. There are 2 ski areas in Arizona, one in eastern Arizona and one at Flagstaff. It can be snowing in Flagstaff while we play golf in shorts in Surprise. I will take a 5 iron over ski poles any day. Another sunset from our backyard. With no bugs and low humidity we can eat outdoors for much of the year. Try doing that in Houston or Florida...the bugs or the humidity will cut down on your outdoor time...we know. We also find that we use the screen doors a lot...keeping the house aired out. I can remember my bride saying we needed a screen door... I didn't think so at the time, boy was I ever wrong. Incidentally, it wasn't the first time... And I'm sure it will not be the last. 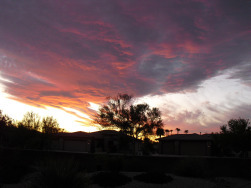 Why did we choose Sun City Grand, from the other Arizona retirement communities? There are two 25,000 square foot fully equipped fitness centers with indoor and outdoor pools. These are all included in your HOA dues...currently $1200 a year...my property taxes are $2400 a year. 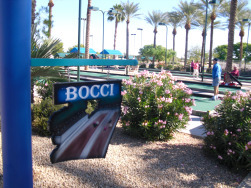 Sun City Grand, as do many of the best Arizona retirement communities, calls itself an "active retirement community"
If golf, tennis and pickleball seem a bit strenuous...no problem, how about some bocce ball or lawn bowling? On Saturday and other special occaisions the lawn bowlers dress in their proper all white uniforms before venturing out on the well kept lawn bowling courts. I think it's kind of cool, to dress up in the formal attire of lawn bowling. If that is still too strenous you can opt for a stained glass class. 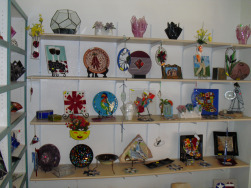 Here are some of the crafts local residents have made. There are several arts and crafts shows here where you can show off and sell your handiwork. Don't know how...no problem... classes are available to get you started and help you along. If you can't find something to do in a community like ours... You really have no one to blame but yourself. Some are bashful at first, now you couldn't get them out of here with dynamite. Arizona is known for its warm winters and large population of seniors. As you can tell from the above it does not mean rocking-chair retirement. The best Arizona retirement communities are waiting for something else...You to join the many smart retirees who call Arizona home. Return from Arizona retirement communities to Retiring to Arizona.